Great initiative of the U.S. embassy in Warsaw! The U.S. embassy cordially invites students, teachers and parents to the American Education Fair on April 20 at the University of Warsaw Library. Representatives of 15 American colleges and universities will present their educational offers for gymnasium, high-school and university students. The fair is open to anyone interested in studying in the United States. Visitors will have a chance to attend an information session on application process and financing study in the United States. The U.S. Commercial Service will be arranging meetings for representatives of Polish schools and universities with the U.S. university representatives. Meetings will take place April 20 in the morning. We encourage you to contact us at tel. : 22 625 4374, email: Maria.kowalska@trade.gov. 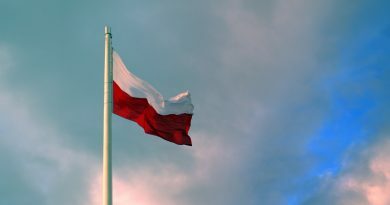 ← Panie Stanisławie, niech pan wraca do zdrowia!